I first tried Pak Rosli’s mee rebus when a friend bought a packet for me – despite it being a few hours old, the mee rebus was still delicious. 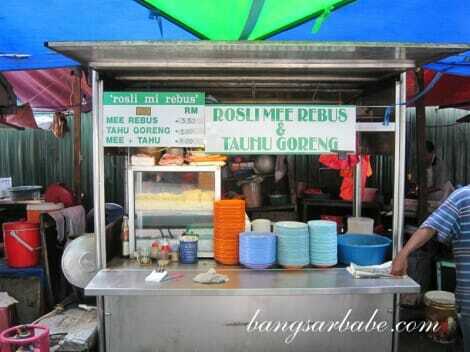 Since rif’s parents enjoy mee rebus more than I do, we decided to hunt for this mee rebus stall in Masjid India. On a Saturday, Masjid India was bustling and we had a tough time finding the stall. Lucky for us, a kind man led us to the stall located behind Haniffa Textiles. My mee rebus (RM3.50) came with yellow noodles, hard boiled egg and beansprouts. Topped with green chilli slices and aromatic fried shallots, I enjoyed this. The broth, made from beef stock and fat, packed a wallop of flavour. If you’re a fan of beef noodles, you will like this. A squeeze of lime gave the noodles a hint of sourness and helped cut through the rich flavour of the gravy. Simple yet comforting, it was one of the best mee rebus I’ve tried. I prefer this to the mee rebus at Dang Wangi and Sin Seng Nam because of the beefy flavour. Go try this and let me know what you think! Verdict: Simple yet hearty, this is one of the best mee rebus I’ve tried in KL. I’m a bit late here but hope you’ll notice it some time. But your column in Star2 Sunday 19 February got my full attention. I’ve had mee rebus in Dang Wangi and at Rosli’s too but the best for me so far is Salim’s (or Narvir Caterers) in Lucky Garden, Bangsar. Been going there since 1981 and the taste hasn’t changed. It has everything in it that reminds me of my time growing up in Kedah/Penang. The mee goreng is superb too. Wednesdays and Fridays we get superb and affordable briyani. Go try Bangsar Babe and you’ll understand why I go there whenever I can and that means at least once a week. Thanks for the comment. By Salim’s, do you mean the one near the famous fish head curry stall? I live in Bangsar but never heard of Salim’s before. Yes, same row of stalls but Salim’s at the other end, nearer to the stall selling fruits and across from AA Pharmacy. Ask anyone around the stalls and you will be pointed to Salim’s. Try his mee rebus and also his mee goreng, really superb! And also his briyani. Sorry la, I’m salivating right now! Another pointer, in case you may have difficulty locating Salim’s. 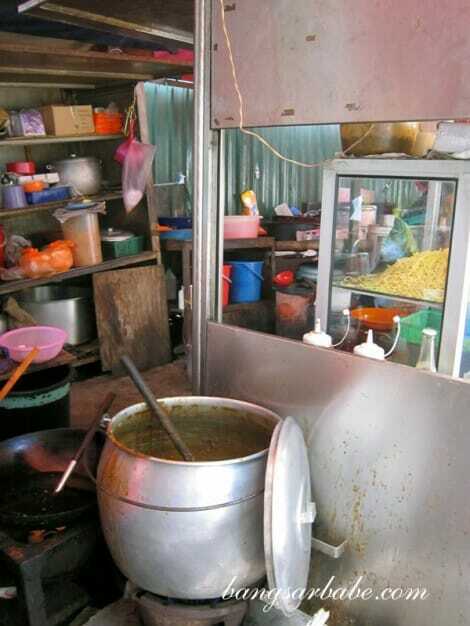 It’s right beside the stall selling Malay nasi campur. Yup. 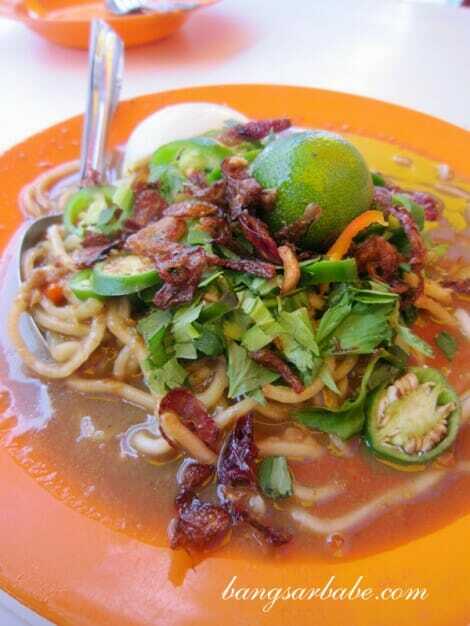 Get going then babe and enjoy the goodness of Salim’s mee rebus – side order: mee goreng. Yes, yes, yes. Told Salim yesterday, while enjoying my mee rebus (had mee goreng the day before), that a very pretty lady might come a-calling soon. Don’t keep him waiting ya.